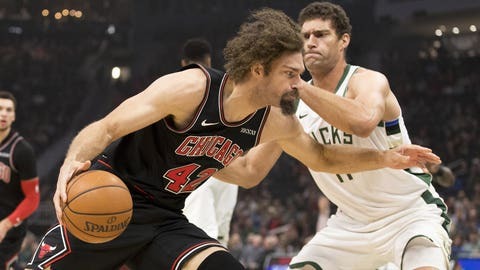 From big dunks to clutch shots, check out the best highlights and interviews from the Milwaukee Bucks‘ 116-113 win over Chicago. The @Bucks are on the board at @FiservForum! Ersan Ilyasova is back, and he’s scored nine points in the opening two quarters!